What progress has been made on criminal justice reform legislation? What are you doing to protect our Second Amendment rights? What are you doing to fight the Administration's Constitutional overreach? 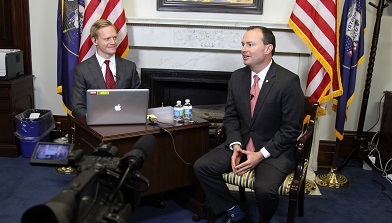 United States Senator Mike Lee of Utah invited participants to join him for this live, exclusive event. He gave his constituents the opportunity to ask him questions, and discussed the overreach of the current Administration. Participants were concerned that the Senator may not be doing enough to stop this; however, the Senator shared specific details on ways he has fought this Administration on the constitutionality of their actions. The Senator also discussed the recent acts of terror in Turkey.